A number of years ago there was a statistic that enjoyed brief life called runs produced. It was a simple statistic that combined the number of runs a player scored with the number of runs batted in, then subtracting the number of homers (since a homer counts twice, as a run and RBI). The idea behind this statistic was that runs win ballgames, so the players who produced the most runs, either by scoring them or driving in someone else, were the most valuable to a team. Obviously, the players who are near top in runs and RBIs will score the highest. But this statistic also gives a nod to players who may not be sluggers. For example, a player with 100 runs and 70 RBIs with 20 homers will produce the same number of runs as a player with 90 runs, 100 RBIs and 40 homers (100+70=170–20=150; 90+100=190–40=150). It also equalizes the performance of players who bat in different parts of the lineup. For example, a leadoff hitter will typically score many more runs than he’ll have RBIs, while the cleanup hitter will generally do the opposite. Before this statistic could gain much popularity, more complicated formulas were developed to weigh a player’s value. However, I still like the runs produced stat because it is a simple, quick way to evaluate just where a player ranks in value to a team. Currently, in games through Sept. 13, Charlie Blackmon of the Rockies has produced the most runs, 184 (129 runs scored, 89 RBIs, 34 homers) and teammate Nolan Arenado is just four behind with 180 (90, 123, 33). Most likely, at least a few of the runs Blackmon produced were also credited to Arenado through RBIs. In between them is Paul Goldschmidt with 182 (104, 112, 34). There are currently 17 players who have produced at least 150 runs – the top six play in the National League (Justin Upton, currently on the Dodgers, also played in the American League, so his totals span both leagues). The leaders in the American League are Aaron Judge (109, 90, 41), Jonathan Schoop (86, 103, 31) and Elvis Andrus (95, 83, 20) with 158 each. The three American League leaders show just how differently players can reach the same level of run production. Even though Andrus has hit less than half as many homers as Judge, and 11 fewer than Schoop, he has produced the same amount of runs for his team. This is where runs produced gives a little different perspective than simply looking at runs, RBIs or homers individually. Here is a look at the top producers of runs through games of Sept. 13. 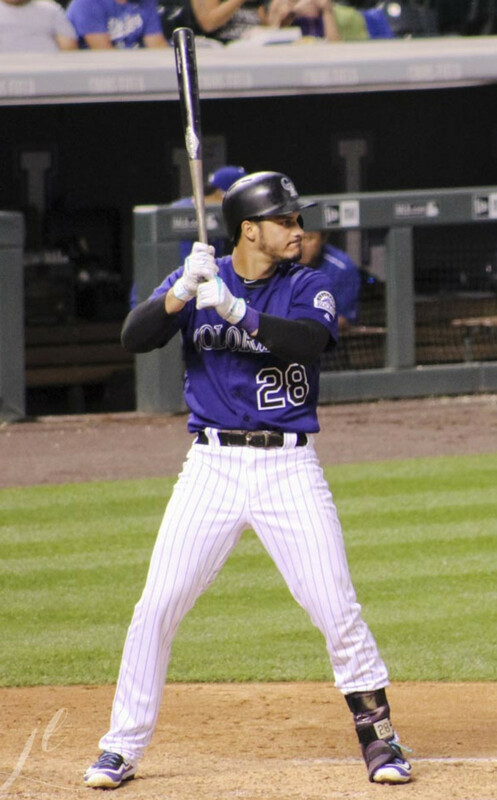 Last year two players reached the 200-run produced plateau – Arenado with 208 (116, 133, 41) and Mookie Betts with 204 (122, 113, 31). The best shots at doing that this year are Arenado, Blackmon and Goldschmidt. 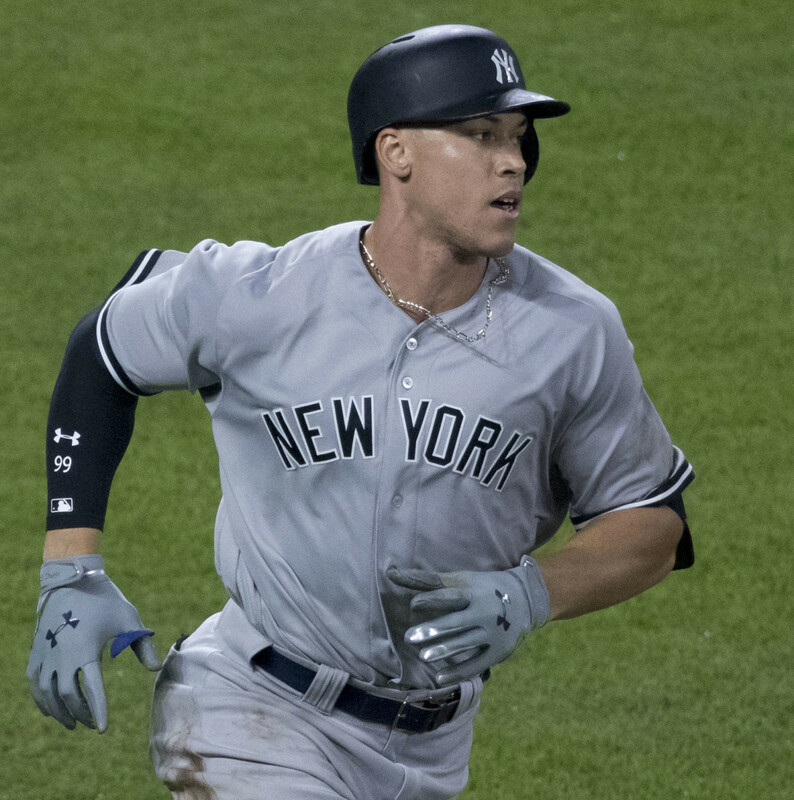 Stanton has a chance, but a lot of his runs are produced through the long ball, so he’d have to be on a hot streak of hitting or have a lot of runners on base for his jacks. Reaching 200 runs produced in a season is a pretty good feat. Even greater is reaching 250, which has been done a number of times by some of the greatest players of all time. Only a few of the greatest Hall of Famers have reached beyond that. 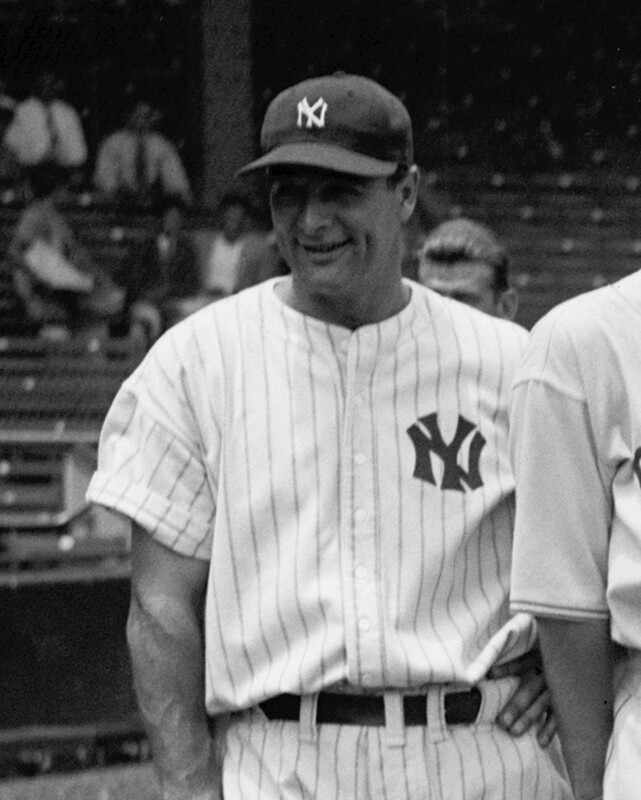 Without having the time to research fully, I believe that Lou Gehrig holds the record for runs produced with 302 in 1931, when his stats were 163 runs, 185 RBIs and 46 homers. Gehrig topped 250 runs produced seven times in his career, including 275 twice and 270 once. 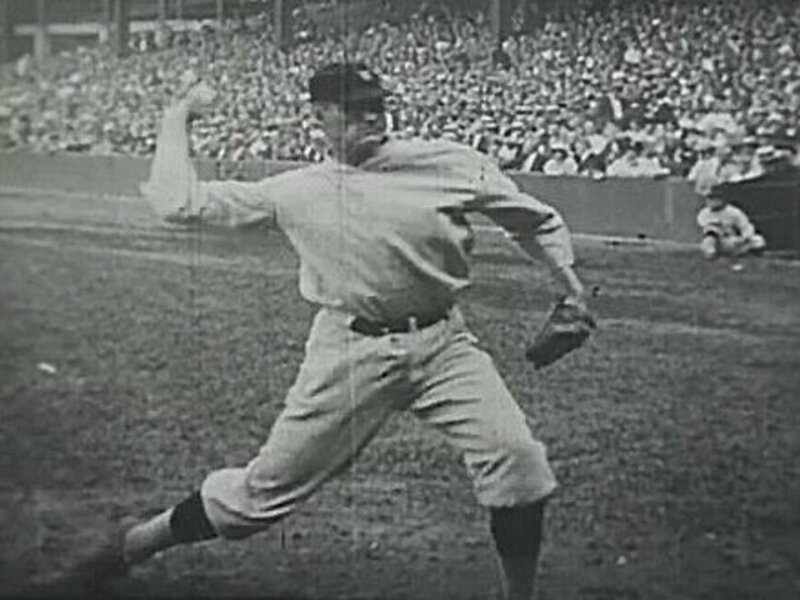 Babe Ruth produced five 250-plus runs produced seasons, including 286 in 1921 (177, 168, 59), which appears to be the second-best season. He topped 260 three times. The most recent player to reach 250 runs produced in a season is Manny Ramirez, when he played for the Indians in 1999. 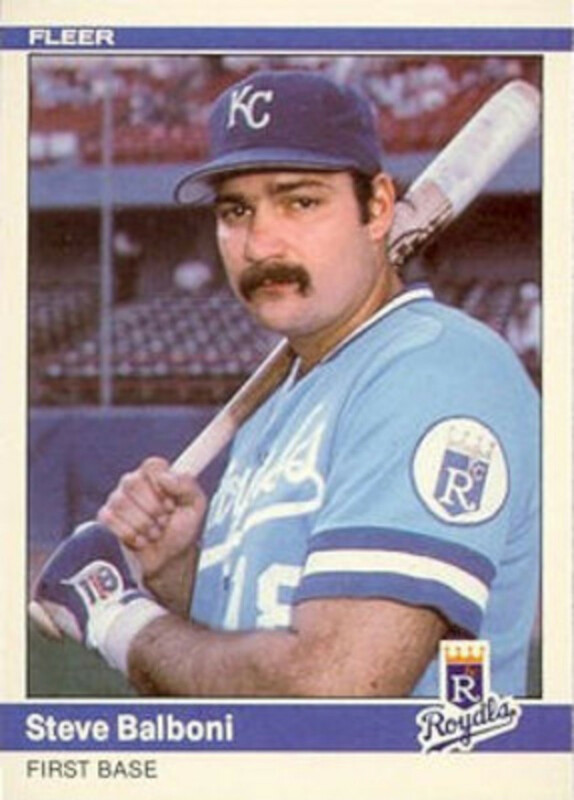 He had 252 runs produced with 131 runs, 165 RBIs and 44 homers. Reaching 250 runs produced is a big task – just to reach 250 total runs and RBIs combined means a player has to have a big year. For example, if you score 125 runs and drive in 130, a big season, you would have to hit five or fewer homers for 250 runs produced. Even a season of 140 runs and 140 RBIs means you can’t hit more than 30 homers. When Barry Bonds hit 73 homers, he produced only 193 runs. Mark McGwire, when he hit 70 homers, produced 207 runs. The last player to top 150 RBIs in a season was Alex Rodriguez in 2007 with 156. He also scored 143 runs. Those are huge numbers. 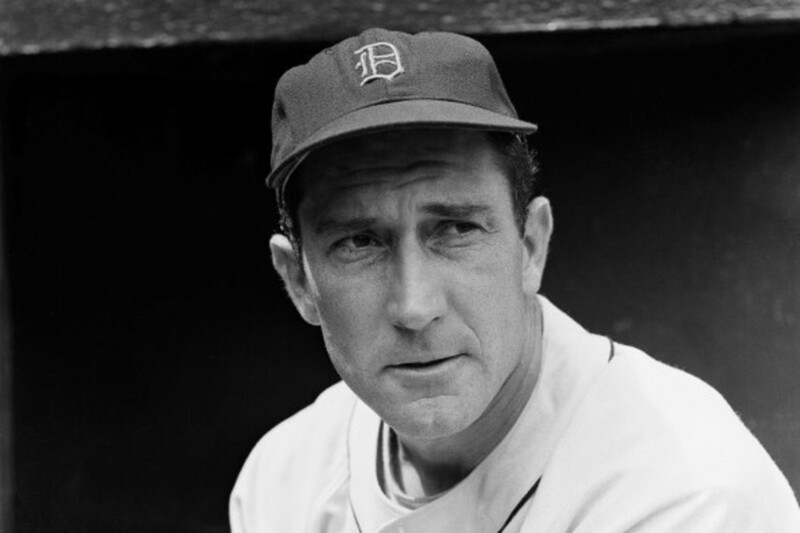 But his 54 homers meant he produced 245 runs, still a great number but shy of 250. 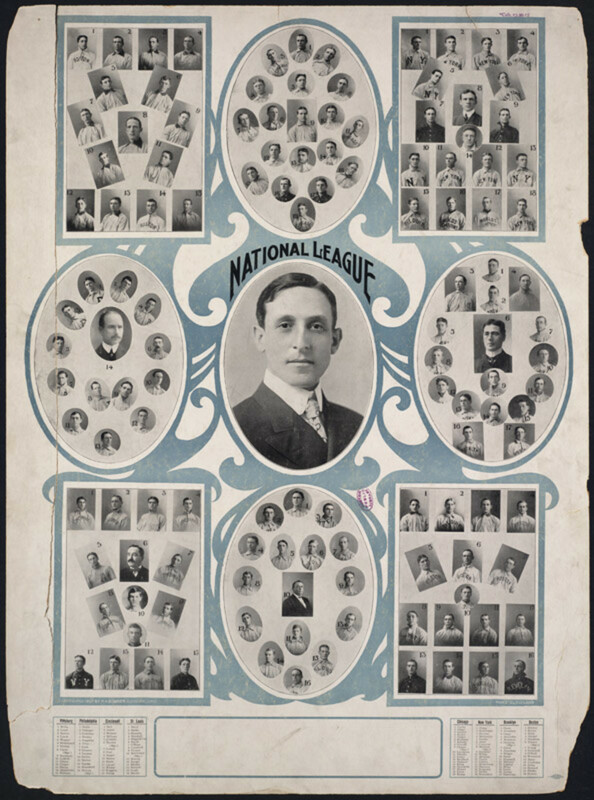 Perhaps the player in history whose run production was most impressive was Kiki Cuyler for the Cubs in 1930. 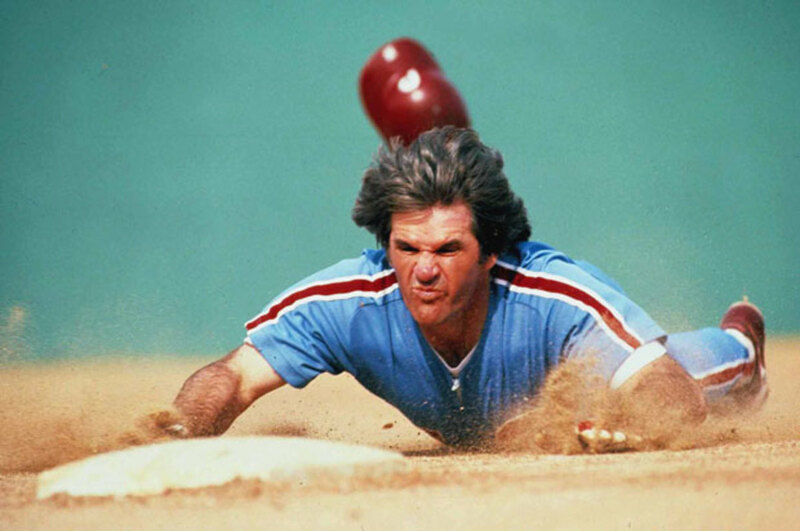 He produced 276 runs – 155 runs, 134 RBIs and just 13 homers. How valuable is the runs produced stat? Probably no more so than many other stats, but it does give an overall picture of which players are bringing in the most runs for a team – and runs are what win ballgames. Are High Dollar Free Agents the Key to Building a Playoff Caliber Team in Major League Baseball Today? I wish Kris Bryant was on your list. I never heard of this statistic but makes sense. Great read and Go Cubs! Cleveland is having an amazing run right now!